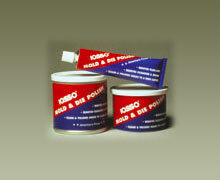 Iosso Cleans it all! These flat compressed sponges pop up into a full sized sponge when wet. 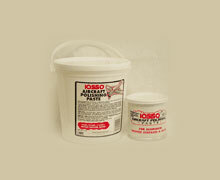 Super heavy duty sponges can be used to clean just about anything. 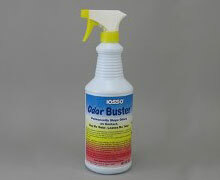 Works well with the Iosso Mold & Mildew Stain Remover to clean boat seats, covers, windows, counter-tops, etc. Once wet they are 5-1/2" long x 2-3/4wide x 1/4 thick. Super absorbent and long lasting. (Photo shows one flat, and one after it is wet. ) Price shown is for one. Call for quantity pricing. Iosso Cleans it all flat compressed sponges that pop up into a full sized sponge when wet. Super heavy duty sponges can be used to clean just about anything. 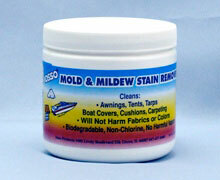 Works well with the Iosso Mold & Mildew Stain Remover to clean boat seats, covers, windows, counter-tops, etc. 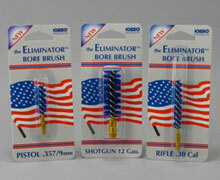 Once wet they are 5-1/2″ long x 2-3/4wide x 1/4 thick. Super absorbent and long lasting. Call for quantity pricing.